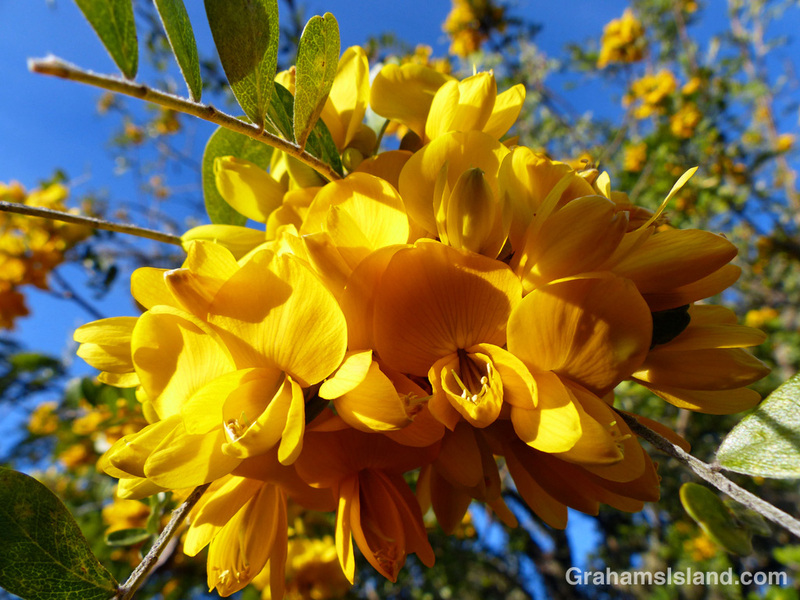 Māmane (Sophora chrysophylla) is an endemic Hawaiian tree which grows in the dry forest on the sides of Mauna Kea. These māmane are in the recently-opened Palila Forest Discovery Trail at an elevation of around 7,000 feet. Māmane is an important plant for several endemic Hawaiian birds including the endangered palila, which is found only in this area. Palila depend on māmane trees for 90% of their food, the most important item being immature māmane seeds. These seeds are poisonous to other wildlife, but not palila. 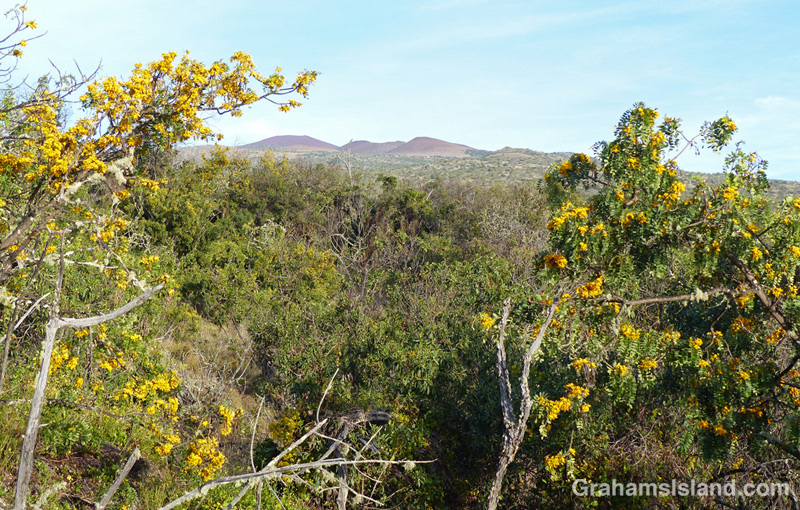 Palila Forest Discovery Trail is part of an ongoing effort to reestablish the high-elevation dry forest on Mauna Kea, which has been greatly impacted by non-native goats, sheep, and cattle. For more information about Palila Forest Discovery Trail, go to dlnr.hawaii.gov/restoremaunakea/palila-forest-discovery-trail/.